Annapurna Expedition is one of the most popular and most preferred Expedition in Nepal through several Adventure Legends. Annapurna is one of the world’s most technical mountains for that reason it has a bad fatality to summit ratio. 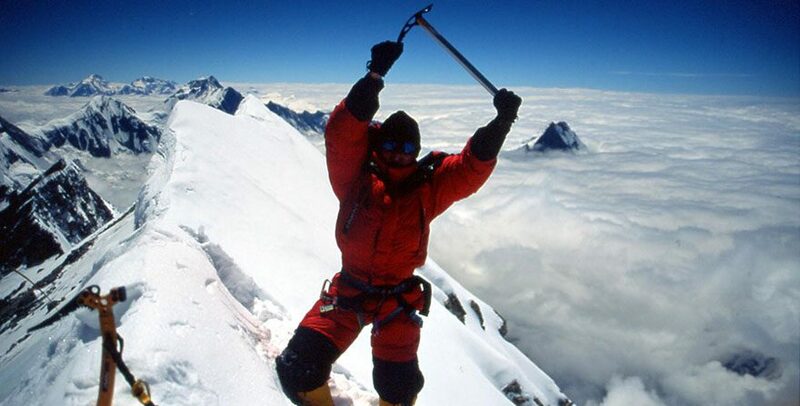 The climb is a serious adventure and one of the most difficult 8000m peaks in the world. But there is a hope, a new route was used this year and will be the best and safest route to climb moving forward. The South Face of Annapurna is one of the largest and steepest faces in the world. The face is awesome in size and difficulty. The South Face is 3000 feet higher than the Southwest face of Mt. Everest. Annapurna Expedition carries a unique experience in every adventure lover’s heart. As Annapurna I (8091m/26,545ft.) is the 10th highest mountain in the world and eighth highest mountain in Nepal. Annapurna I is the lowest 8000m peak but is one of the most technical climbing peaks in the Himalayas. The Annapurna massif contains six major peaks, Annapurna I (8091m/26,545ft), Annapurna II (7937m/26,040ft), Annapurna III (7555m/24,786ft), Annapurna IV (7525m/24,688ft), Annapurna V (7455m/24,457ft) and Annapurna VI in South (7219m/23,684ft). The Annapurna expedition required three high camps beside the base camp. During Camp I till Camp II there is a risky zone with a very unstable glacier that is always ready to crash which is the main reason for avalanche in this region. There is a challenging climbing over the 72 degrees of steep ice done with fixed ropes with crashing risk. The final climb from Camp-II towards Camp-III requires navigational switchbacks over the snow arena leading towards the summit above the uncovered ridge that doesn’t need ropes. Bharal Adventure assures you your full safety first of all as you are our responsibility. We offer you this amazing thrilling and the adventurous journey just in 43 days. We promise to make this journey one of the best and most memorable journey of your life. Your life is a waste if you don’t make it in your lifetime list so collect your guts and grab it. Day 01: Reach at Kathmandu via airlines and transfer to respective hotels. Day 02-03: In Kathmandu optional tour and preparation for Annapurna expeditions. Day 04: Drive to Pokhara 950m - 06 hrs journey distance 220 km. Day 05: Drive to Nayapul 1,100m and trek to Ghandruk 1,730m. Day 06: Trek to Chomrong 1,951m - 06 hours. Day 07: Trek to Dovan 2,130m via Bamboo 2,050m - 06 hours. Day 08: Trek to Machhapuchare Base Camp 3,720m - 06 hrs. Day 09: Trek to Annapurna Base Camp 4, 095m - 04 hours. Day 10: At Annapurna base camp rest and acclimatization. Day 11: Climb to Advance Camp 5,600m. Day 12-13: At Advance Camp. Day 14-33: Ascent of Annapurna I Summit. Day 34: Return to Base Camp. Day 35: At Base Camp. Day 36: Trek to Bamboo 2,050 m - 06 hours. Day 37: Trek to Jhinu danda 1,700m via Chomrong 06 hours. Day 38: Trek to Potana 1, 900 m - 05 hrs. Day 39: Trek to Kande and drive to Pokhara. Day 40: Drive or fly back to Kathmandu. Day 41-42: In Kathmandu for individual activities. Day 43: International departure for homeward bound. On reaching at Kathmandu international airport where you will be greeted with warm welcome by Bharal Adventure staffs and guides, and then transfer to your hotel where you will be joined with other members of Mt. Annapurna I expedition, here our guide and group leader will information and brief with wide information regarding the trek and Mt. Annapurna climb. With free days in Kathmandu for necessary preparations where you will be busy packing and purchasing necessary required equipments for the expeditions, on last final day in Kathmandu with final briefing regarding the climb including do’s and don’ts, where our expert climbing guide will provide much information and items required for the climb. For interested people can join in city tour around Kathmandu at places of interest, as Kathmandu valley full of world heritage sites of impressive historical and cultural monuments. Morning travel by tourist coach or in private vehicle over the busy scenic highway towards amazing picturesque Pokhara valley driving through the Himalayan foothills, on arrival at Pokhara transfer to respective hotels nearby beautiful Phewa Lake with afternoon free for short walks. Flying options 30 minutes of scenic flight to Pokhara. From Pokhara 2 hours of exciting drive with grand view of Annapurna Himal range of peaks and then reaching our starting point at Nayapul, to begin our walk following the Modi River to Bhirethati one of the charming villages along the route. Walk continues through farm lands and villages and then a long climb on stone steps to Ghandruk village dominated by Gurung tribe of people, famous as Gorkha soldiers in foreign countries in UK and India, besides as soldiers there are traditional farmers and cattle herders interwoven with Buddhist religion. Ghandruk one of the largest villages around Annapurna area here overnight in the comfort of a nice cozy lodge after a good walk of four hours. After a wonderful morning overlooking views of Annapurna mountain range, from here a short walk to the base camp, morning walk on the grassy uphill slopes then reaching higher almost level ground near Annapurna Base Camp, morning walk with stunning views of close Annapurna peaks that circles the sanctuary facing Annapurna I. After a good scenic walk reaching at Annapurna Base Camp a magnificent spot with about three large lodges at present, offering tremendous awesome scenery of snow capped peaks that encircles around this lovely spot at base camp, afternoon at leisure to enjoy the mountain views. A full rest day for acclimatization and short hike with views snow-peaks including Annapurna I, a large wall of a mountain. Here with time for preparation for next day climb to Advance Camp. Trek and climb towards Annapurna glacier and moraine to reach at Advance Camp, where the vague path leads over moraine, ice and small glacial streams, climb leads further high of 5,600m at Advance Camp. A strenuous walk and climb through glaciers and crevices on route. Bharal Adventure reserves two days as rest and for preparation to make the climb a success, where everyone will be active sorting and repacking gears and equipments for the climb which needs at least 3 camps before the summit bid. Here our leader and lead Climbing Sherpa guide will brief with full information regarding the climbing routes where high technique and positive attitude required on this awesome climb. Bharal Adventure reserves 20 days for the entire climb all the way to the summit top of Annapurna I, regarded as Killer Mountain like K2 and Nanga Parvat in Karakorum range of Himalaya in Pakistan. A I was first climbed by late legendary Maurice Herzog in the 1950’s, the first 8,000 meter peak ever to climbed even before Everest was submitted taking the North West route, since then there have been several Expeditions from this same route has acclaimed many success. Annapurna I Expeditions, where climbers have to be in top physical form and as well medically to conquer the top of world’s ten highest mountains, for the safe climb we have reserved 20 days. The 1st camp will be set taking maximum of 2 to 3 days and the next camp II and III between weeks; remaining days will be used for proper preparation for the summit bid of this toughest mountain, the weather also plays a prime factor sometime unfavorable weather hinders us in our set itinerary routine days. After a tough and hard achievement with the conquest of Annapurna I, descend back to Base Camp safely, bringing all the gear, used oxygen bottles and camping equipments by this day every member and staff should reach base camp to assist with packing and cleaning the area. After an adventurous and tough climb with success and at base camp preparation for return journey to Pokhara unto Kathmandu, here sorting out gear and cleaning the surrounding camp. After a gorgeous time around high Annapurna Sanctuary and base camp, morning walk leads on downhill path all the way to Deurali, with few ups and downs then on winding trail through cool alpine forest reaching at Bamboo for overnight stop. From Chomrong walk is easier starting short steep morning up to Khuldi Ghar, then downhill into dense forest to reach Sinuwa danda, continue walk descending to Chomrong khola. After crossing a bridge uphill for an hour to Chomrong village with possible lunch stop. After Chomrong walk to the top of Chomrong ridge, then our route leads downhill to Jhinu danda for overnight stop, afternoon free for short hike to enjoy refreshing hot springs nearby Modi River. From here onwards into warmer area through many farm villages with downhill walk for an hour to Modi River, then crossing a bridge with short climb to Landruk village, after brief stop continue walk on a long winding trail through terraced farm fields and villages and then reaching cool forested area with uphill for 40 minutes to reach Deurali hill top at 2,150 m.
From Deurali offers super views of Mt. Annapurna, Mt. Manaslu and Fish Tail peak, after a scenic break downhill to Potana village for last overnight stop in the high hills of Annapurna Himalaya. Morning catching the views of Annapurna Himalaya, as our last day walk leads to a short up through cool forest at Thulo Kharka also known as Australian Camp a beautiful spot in the middle of the forest with large grazing meadows offering glamorous views of Himalayan range of mountains, after a short scenic and refreshing break descend to the road head at Kande village, from here an hour drive back to Pokhara after a wonderful time around high Annapurna hills and mountains. Morning a scenic drive to Kathmandu, after a wonderful memorable adventure on world 10th highest mountains expeditions to Mt. Annapurna I, on reaching Kathmandu transfer to respective hotels with afternoon free at leisure. Two days as contingency or spare days in case of delay on climb due to bad weather and other technical difficulties, today enjoy the free day relaxing and busy sorting out climbing equipments, where our leader and guide will submit expedition’s reports to concern Nepal Government department. On this free day, you can join in our guided tour where you can witness ancient culture and heritage sites around Kathmandu valley. Mt. Annapurna Expeditions completes today in Kathmandu, as per the time for your international flight homeward bound or to next respective countries and port of call, transfer to airport with mesmerizing and exciting adventure with Bharal Adventure and its cheerful friendly guides and staff. Domestic airport pick up and drop by car or Van. Licensed Guide: An experienced, helpful and friendly Guide, Porters: Experience Trekking Porters (1 porter for 2 clients). Arrangement of emergency helicopter service which will be paid by your travel insurance company. Medical supplies (first aid kit will be available). Nepal entry visa fee (you may easily issue the visa upon your arrival at Tribhuvan International Airport - Katmandu). Your Travel and rescue insurance. All the expenses in mountain over than scheduled itinerary (due to strike, delay or canceled flight) Extra night Hotel in Kathmandu if arrive early or late departure than schedule Itinerary.